﻿ Mogador Kasbah Marrakech. JIMAT di Agoda.com! Terletak di Medina, Mogador Kasbah merupakan tempat menarik untuk memulakan pengalaman di Marrakech dan kawasan sekitarnya. Dari sini, tetamu boleh menikmati akses mudah kepada semua yang bandar meriah ini boleh tawarkan. Pelawat yang datang ke hotel boleh melawat tarikan utama di bandar ini seperti: Bab Agnaou, Bains de Marrakech, Spa Sultana. Ambil kesempatan daripada pelbagai perkhidmatan dan kemudahan yang tiada tandingan di hotel Marrakech ini. Untuk menamakan beberapa kemudahan di hotel ini, terdapat Wi-Fi percuma dalam semua bilik, meja penyambut tetamu 24-jam, kemudahan bagi tetamu kurang upaya, daftar masuk/daftar keluar ekspres, simpanan bagasi. Suasana Mogador Kasbah terpancar di dalam setiap bilik tetamu. pendingin hawa, pemanas, panggilan kejut, meja, bar mini hanyalah sebahagian daripada kemudahan yang boleh didapati di hotel tersebut. Hotel ini menawarkan kemudahan hebat, termasuk pusat kecergasan, sauna, kolam renang luar, spa, urut, untuk membantu anda berehat selepas hari yang penuh aksi di bandar. Nikmati perkhidmatan yang sukar ditandingi dan lokasi benar-benar berprestij di Mogador Kasbah. Although the swimming pool was a great plus point especually for iur 7 year old daughter, the hotel would benefit by investing in a bit of more elaborate entertainment facilities for children. Typical hotel that looks better on pictures than in real life. First, additional taxes were charged whilst supposed to be included. Next, room could be better as airconditioning worked poorly (adjust button was gone) and beds were solid as a rock. Same as plastic pool beds. Hygiene was ok though luckily. Funny but strange detail: concrete floor in hallways is full of holes covered by carpet. Breakfast is ok but nothing special. Fine. Short and easy. No access to wine store. The front desk informed us we would have to taxi to go to a restaurant. The next morning we Found a huge hotel across the street with many nice restaurants inside. Really bad business to drive customers away from close by businesses. We stayed here in late January. Initially we had wanted to stay in the center of Marrakech, but couldn't find anything there as good value as the Ryad Mogodor. In the end, we were glad that we stayed outside the center as it is very noisy, crowded and badly polluted. The Ryad Mogodor, however, was clean and relatively peaceful. The rooms were large and comfortable, although the decor was slightly worn. The hotel provided good value, and a location not too far from the center of town. Was a nice spacious rooms with good location. Was about a 10 min ride from the square, and the hotel provides a free shuttle to the square every hour. It is nice as the square is very polluted. The hotel is in a newly developed area, with a shopping centre and supermarket 5 mins walk away. Hotel decor is fantastic. Breakfast is okay....not much variety but has the basics. Overall if you are not too concerned about paying for the facilities and the noise, then the hotel is really nice. Access to the old centre a bit difficult. But easy coming back on a no. 16 Hotel convenient for the airport bus link. Just thought the receptionists and staff where you bought coffee while waiting for the suttle bus could have been more friendly. Cleaing & Waiter staff very friendly and polite. Cleaing of rooms daily was excellent. Shuttle bus service was excellent. Again Receiptionist could have been more helpful when handing the little flyer with timetable. the room was very comfortable however the staff did not do the hotel justice. The pool was a little dirty. there is a shopping mall nearby but apart form that the hotel is very secluded. In our experience the hotel shuttle buses are not very reliable. Good pool. Very clean & in good condition. I had a good 3 nights at this Mogador hotel. The breakfast was average. My room was average. The pool area was good. It had a beautiful lobby. The main market place of Marrakech was about a mile & a half away, which I walked, but would only be 5 minutes in a taxi. The staff were very pleasant. Overall, I had a very nice stay at the Mogador Kasbah. I enjoyed my stay here. 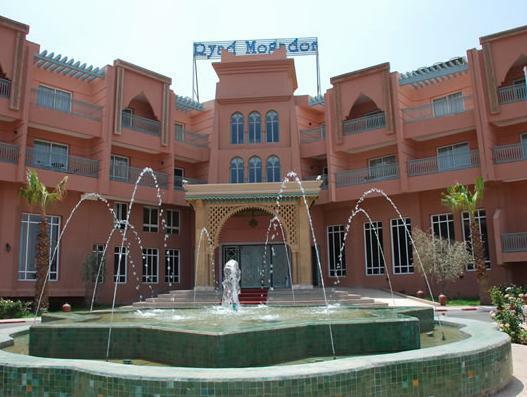 The hotel is very large, a converted Ryad I believe, and the rooms are spacious as well. The front desk is helpful. There is a shuttle every 90 minutes that will transport you to the Medina. The meals here are only so-so, and you might need to get used to the sight of birds and ants surrounding the buffet table. But, overall a nice hotel. Does need Wifi though. We stays at this hotel two days. the hotel's location is far from the old medina, about 2 km., but there was a hotel's shuttle bus service which leave from the hotel 8 times per day, starting from 9:00 am. and then every 1:30 hr. The reception is friendly and helpful. 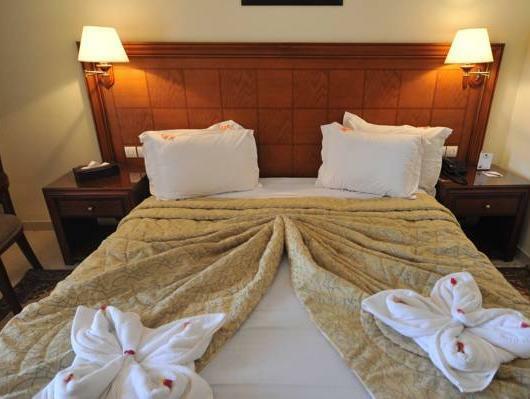 The room's condition was very good as the 4-star hotel standard. The hotel's facilities was very good. There are a clean swimming pool and fitness room. The breakfast is on a good quality. 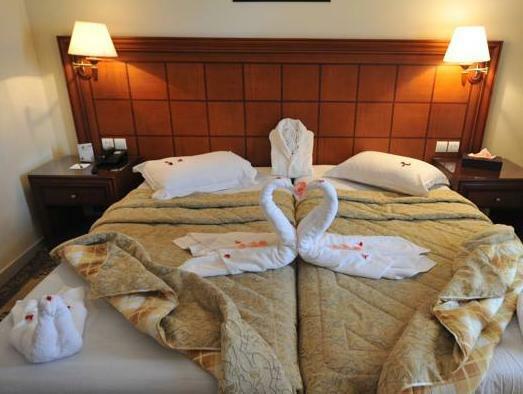 We impressed this hotel very much. We are a great time at the hotel. The staff were very friendly, recommending places to visit and advising how to get there. Breakfast was delicious with a live eggs cooking station. The rooms are roomy and the bed is comfortable, however the pillows are a bit too thick. The hotel is distant from the Medina but we rented a car which was very convenient. If back in Marrakesh, we'd definitely go back to this hotel. jag trivdes mycket bra. Mycket positiv stämning i hotellet. Ich habe dieses Hotel für die letzte Nacht gewählt, da wir einen frühen Rückflug hatten und es in der Nähe vom Flughafen ist. Leider war es ein totaler Reinfall. Da dort draussen nichts ist, muss man sich über die Rezeption ein Taxi zum Flughafen rufen. Die weigern sich aber, ein Petit Taxi zu rufen, bedeutet, man muss mit dem teuren Grand Taxi fahren und deren Festpreis von 150Dirham zahlen. Leider hilt auch kein diskutieren, weil man da draussen von dem abhängig ist, der kommt. Das Hotel hilft einem da auch ich weiter. Weiters haben wir die Nacht kein Auge zugemacht. Die Wände sind so dünn, dass man jedes Wort und dann das Schnarrchen der Nachbarn gehört hat. In den Betten konnte man auch nicht schlafen, weil die voller Wanzen waren, die sofort gestichen und gegrabbelt sind, sobald man sich nur hingelegt hatte. Freundliches Personal, Sauber, schöne Poolanlage. Das Hotel ist ziemlich neu in einer viel bebauten zone. Die Sehenswürdigkeit der stadt sind zu fuß in ca. 30 Minuten erreichbar. Das Hotel liegt leider zu nah an einer großen Straße daher ein hoher Lärmpegel. Das Personal ist sehr freundlich, Das Hotel ist sehr sauber, verfügt über eine schöne Poolanlage. Ideal für einen kurzen Aufenthalt. Der Empfang am Hotel und der Rezeption waren vorbildlich.Die Lage könnte besser, d.h. citynäher, sein. Der Shuttle zum Zentrum war leider außer Betrieb.-Parkmöglichkeiten sehr gut. Zimmer dto.. In der Bar gibt es keinerlei alkoholische Getränke! Das Frühstück war gut, aber nicht ausgezeichnet. Insgesamt sehr empfehlenswert.